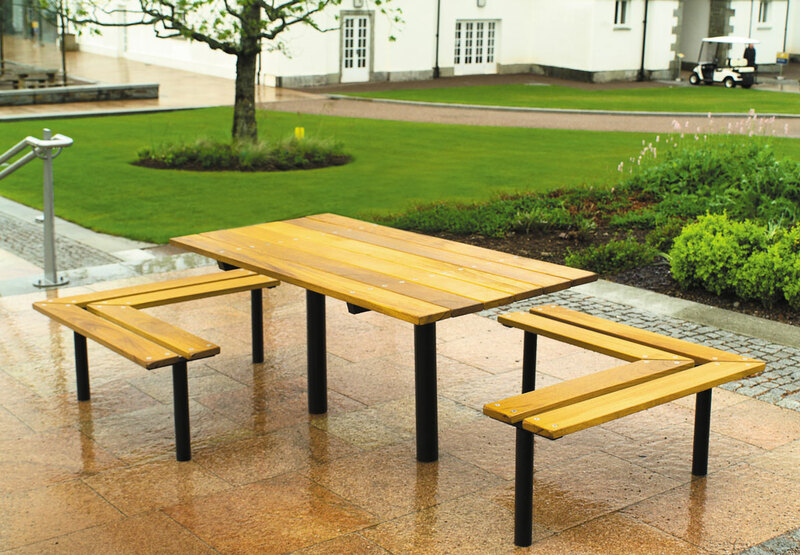 A rectangular picnic set, with ample provision for dining. It is supplied with a central hole for a parasol. 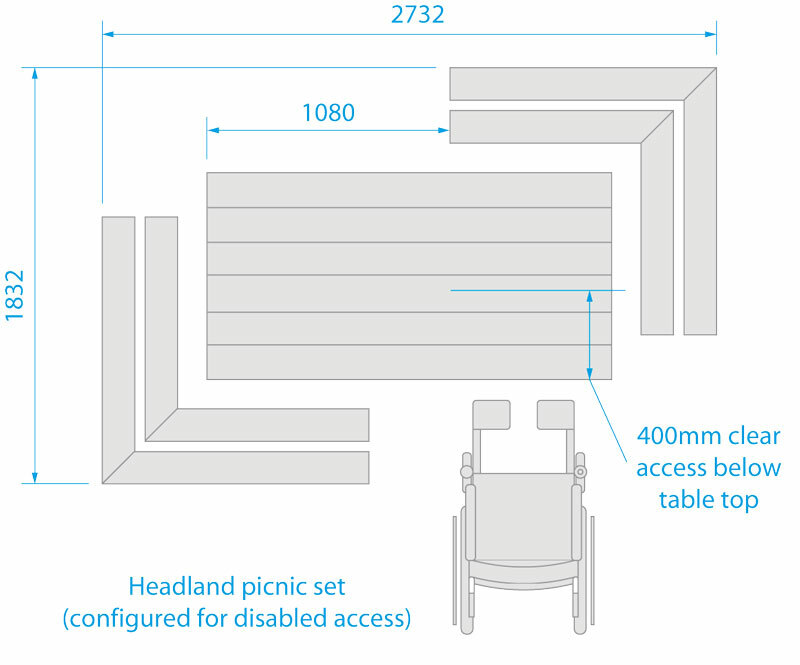 Excellent disabled access is provided on both sides of the table.